You can’t afford to overlook the importance of Lion of Africa Easy Life policies. Many people do ignore considering life insurance because they see it as just another added expense on an already tight budget. When you think of the people in your life – those who rely on you financially – as a breadwinner, how would your death impact them? 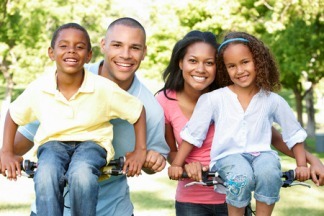 Life insurance is a critical tool for ensuring your family will manage finances when you are no longer there. It is important to get life insurance soon. That is because as you age the cost of life insurance can increase exponentially. South Africa, fortunately, has many life insurance companies, of which Lion of Africa is one. Lion of Africa is registered to conduct long-term insurance. They are a South African life assurance company with a Financial Services Board licence. They are a level 1 BBBEE contributor as well as being a 100% black-owned enterprise. Today the products of Lion of Africa have expanded to include products across the full risk spectrum. Lion of Africa’s activities concentrates primarily on life assurance as well as funeral cover for groups, individuals and families. They have a credible investment team and have plenty of experience in the industry. One of their products is Easy Life, a life cover product which comes with some useful features and benefits as well as highly competitive premiums. Entry age is between the ages of 18 and 55. For cover up to 300k, you won’t need a medical or blood test. It offers optional Accidental Hospital Cash. It offers optional R1 000 Annual Cash Back Benefit. Covers natural death as well as unnatural- and accidental death. Life insurance has several purposes, but the primary function is to replace the earnings that will stop when the breadwinner dies. If you die during the years that you are earning, your family will still have to pay all their usual bills. Without life insurance, it will be impossible for your family to meet their financial obligations. Just because you’re young – in your 20s or 30s, you’re not invincible. The benefit of buying life coverage in your 20s or 30s is that you’re more readily accepted and your premiums are that much lower. Those people who are over 50 and 60 have a much harder time buying coverage. Most financial products come with loads of jargon, but Lion of Africa have tried to make it as simple as possible. You can download the application form and easily fill it in. Contact Lion of Africa by phoning 021 461 8233, or by emailing them at info@lionlife.co.za. Get life cover and Lion of Africa will be able to walk you through all the details.